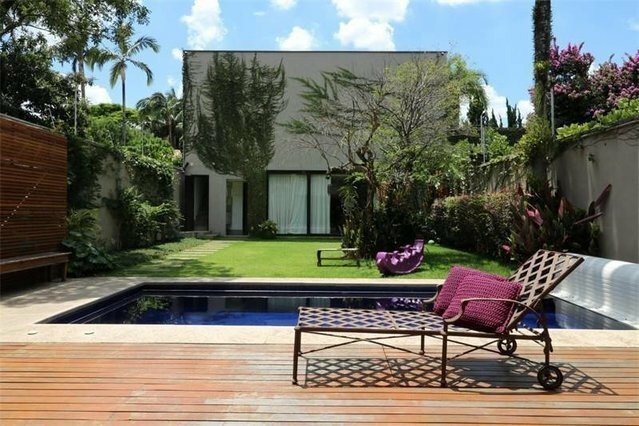 This cinematographic 470 sqm home is located on a very calm and secure street in Jardim América. The recently renovated house is spacious and counts on 4 suites, living room, dining room, sauna and a magnificent integrated kitchen. In the outside area, the beautiful garden features a swimming pool surrounded by a terrace.